Both cottage and contemporary, this bedroom set combines two styles all into one. 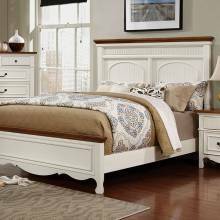 The beautiful platform style bed features a slat panel headboard with contrast border trim, smooth wood details and comes complete with coordinating case goods. 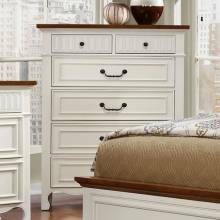 Both cottage and contemporary, this dresser combines two styles all into one. It features beautiful .. 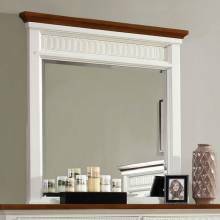 Both cottage and contemporary, this mirror combines two styles all into one. It features beautiful c.. Both cottage and contemporary, this chest combines two styles all into one. It features beautiful co.. 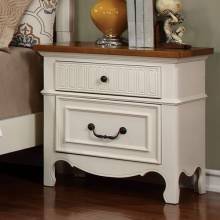 Both cottage and contemporary, this night stand combines two styles all into one. It features beauti..